Here’s a big important question: A reputable company with a product for educators has asked to sponsor my show. Should I say yes? I have mixed feelings about this, since it would be advertising but on the other hand I’ve heard other edu-bloggers and edu-podcasters say nothing but good things about this company. I can’t say more for fear of biasing your responses. I can say that if I say yes, the sponsorship will include a graphic on the site and an audio clip in the podcast. However, the decision is up to you, the loyal listener After all, if you’re reading/listening to this then you stuck by me even after over a month’s hiatus. Feel free to comment on this post or email me. No video this time, just wonderful low quality audio! The wiki is getting more spam than legitimate edits. I’m dealing with the spam now, and I’ll get to the real edits soon. No, really. I’m beginning to like Ning more and more, mostly because it doesn’t crash Firefox as often as it used to do. The next Teachers 2.0 Groupcast will be recorded on the 13th. Come join in the fun! 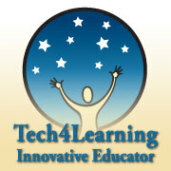 Planning on upgrading the version of Drupal that’s managing Teachers20.com. Should I go with regular or extra education? Looking to find others willing to create Teachers 2.0 branded content. Are you interested? It came to my attention that most of Episode 143 had no audio. My best guess is that this was from a glitch in the encoding process. The problem has been remedied. I apologize for the inconvenience. It occurs to me now that although this site does have a link to my Free Online Resources wiki, it’s so far down on the list that even I had trouble finding it. Hey, where’s the audio only version? I moved that over to Podserve. Vidcasts like this one will still get posted here, though. Chris Craft’s Twitter, and subsequent blog entry. My Art Club students have started teaching each other. Some of my students are linking to my website from sites they’ve made themselves. (I won’t link to their sites without parental permission, though. Second Life seems to be running better than ever. When I last used it months and months ago, it took forever to download all the textures and I was often booted when servers went down. I started a Teachers 2.0 group on Ning so I could try it out, and lo and behold people have been joining! So now you can be a participate on Ning or on the original (and ad free) site. Here’s my latest rambling, where I talk about the definition of art and how it relates to education. …Ok, you got me – this is a response to Dave LaMorte. I also make a plug for the Artchive. Here’s the audio version of show number 130. video and show notes to follow. Here’s the audio version of my latest ‘cast. Video and poll to follow.